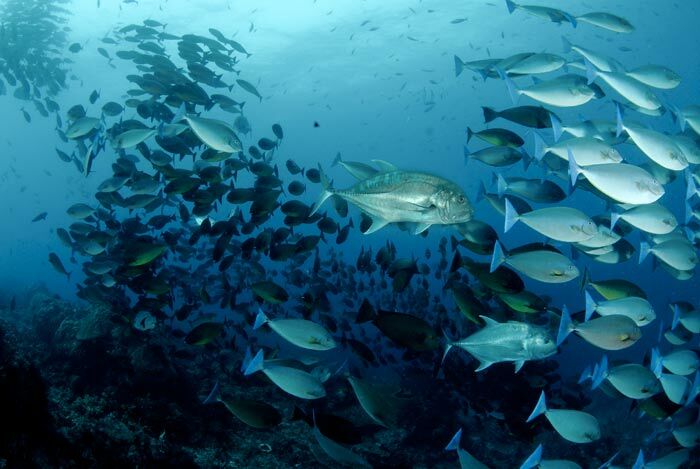 The Jakaré operates as a full-fledged dive center, with equipment and staff that are adapted and independent, with an exclusive side and more. Our entire team, headed by our Dive Master, will be at your service so that you can enjoy, in complete safety, the most beautiful diving spots of Indonesia : Raja Ampat, Togian or Komodo. The concept of the Jakaré is to leave a maximum of freedom to our guests. 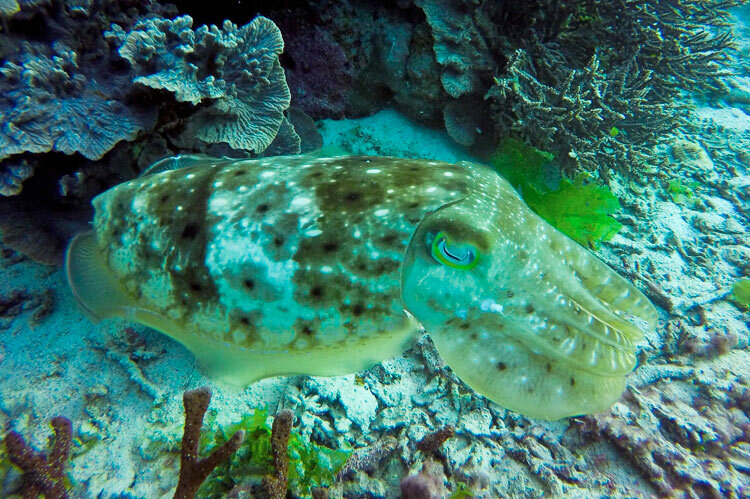 Thus the dives can be organized and tailored to your level and your desires. 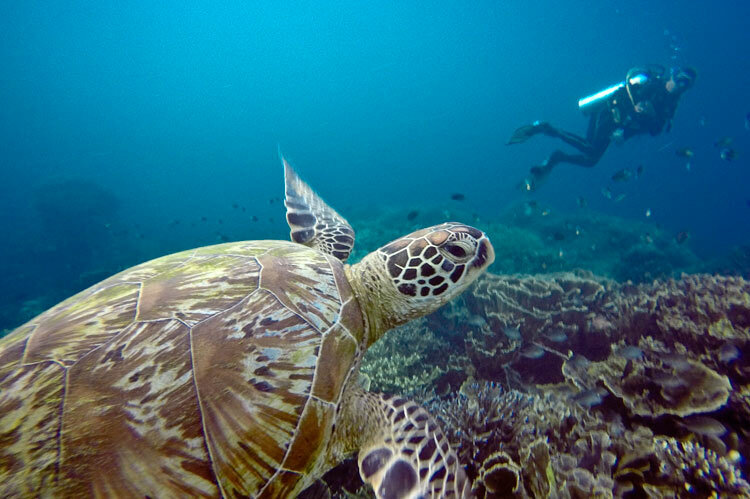 Whether in the Komodo protected area or in the nooks of the Maluku Sea, diving and snorkelling will allow you to discover dozens of multicolored species coming to find refuge in the magnificent corals or maybe cross a turtle swimming languidly in the waters. 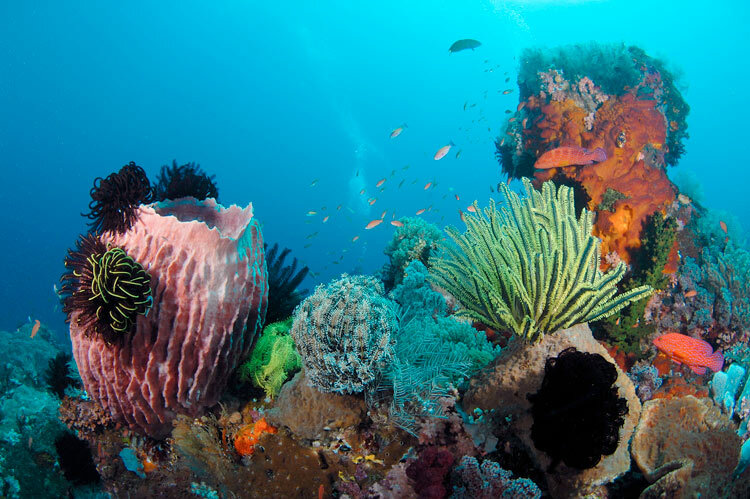 This discovery is for everyone, from the youngest to the oldest and does not leave out the non-divers who also have the chance to admire and appreciate the richness and beauty of the Indonesian seas. 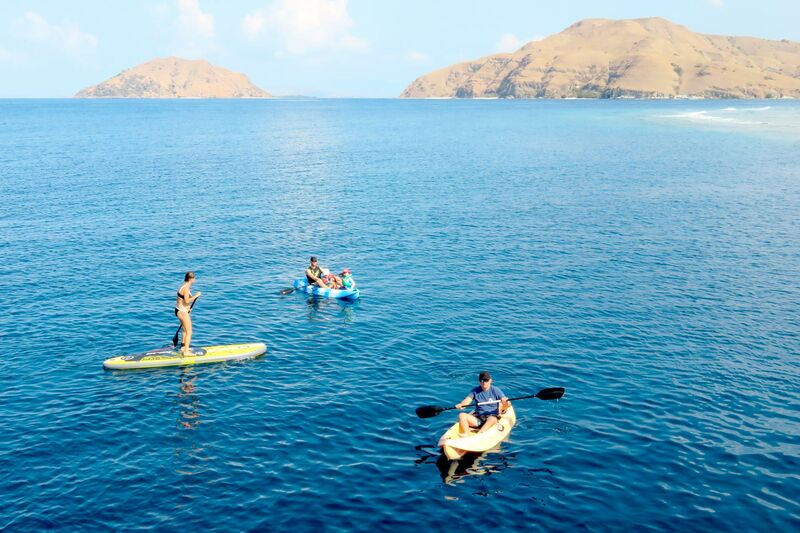 On board the Jakare, you can find Kayak and SUP. You can help yourselves to go on turquoise water. You can enjoy the breathtaking view in the water and on the beach in the same time, with a little exercise. 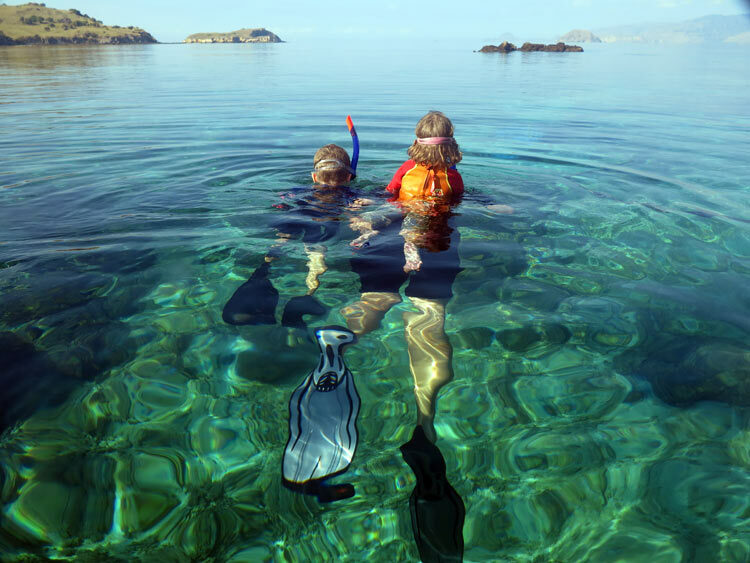 Kayak allow you to explore wonderful spot you can’t reach with the boat or swimming ! What’s better that kayak or sup to explore all around by yourselves ? The Jakaré has been designed and built to give the holidaymaker the opportunity to enjoy a moment of rest while enjoying a splendid environment. The Jakaré does not have a superstructure (that is, no cabin floor on the deck) which leaves an incredibly large living space to relax. The rear space of the upper deck will allow you to enjoy beautiful scenery while comfortably lounging, enjoying a cocktail and a good book. The large solarium also welcomes you… And not to mention the rear space of the Jakaré and its “private beach” that allows you to simply swim through this incredible access located at sea level. The Jakaré team offers the possibility to organize, on request, a cruise including the practice of Yoga. Infact, one of our managers is a certified Hatha Yoga teacher (Yoga Alliance) and is well versed in the practice of Yin Yoga. She will be able to offer you meditation sessions at sunrise, to help you to discover the various techniques of breathing for the improvement of your well-being during your stay, and beyond, to guide you through gentle sequences of positions in Hatha yoga in order for you to find control of your body as well as offer you deep relaxation sessions. Any request for a Yoga Cruise will be considered and customized: from a leisurely cruise with a little Relaxation, Breathing, Meditation to a full Yoga retreat. It is an essential element of the Jakaré philosophy to promote well-being and relaxation during your cruise. 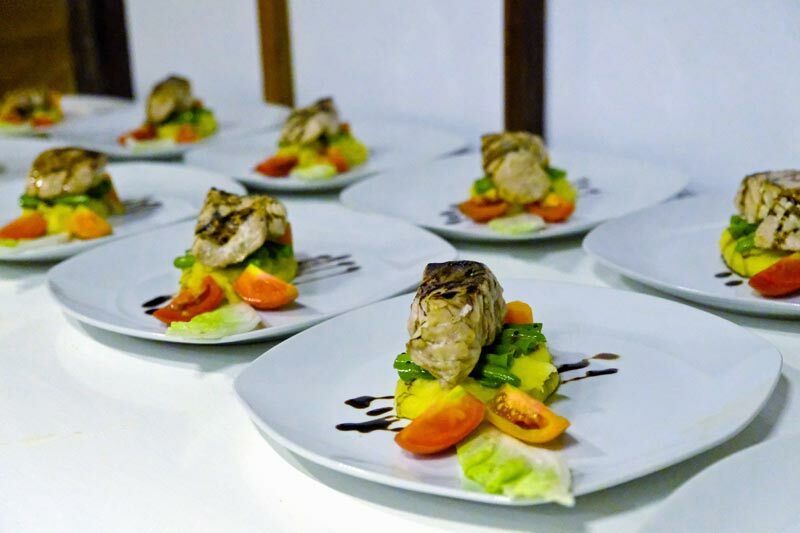 Our Chef will offer you an assortment of tasty European dishes. 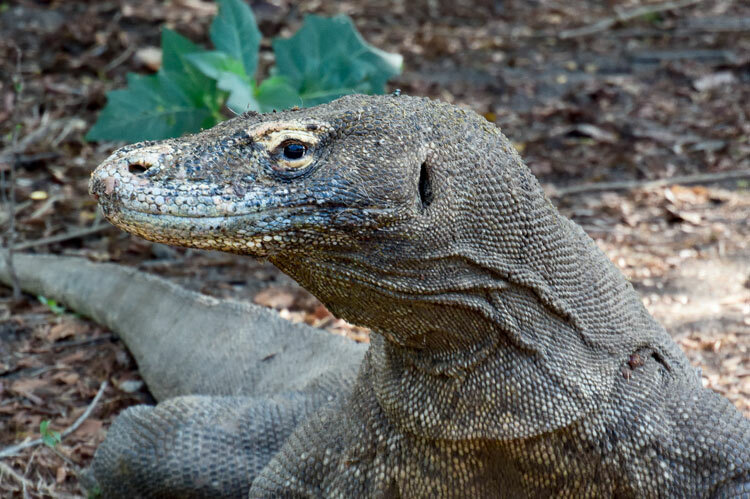 Komodo National Park is a fabulous example. Whether you are a confirmed walker or simply a hiker, you will find pleasurable moments on these islands which can alternate between green nature and a dry and rocky environment. …and the walk on the island of Waigeo (Raja Ampat). 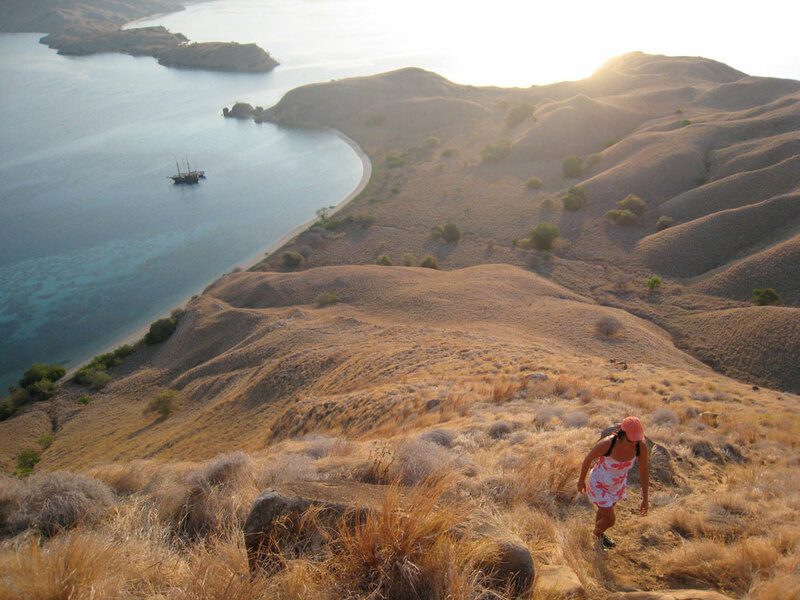 At the end of a climb which alternates with a vigorous walk (the climb may be steep) and the blissful contemplation of the landscape, you will arrive at the summit of Mount Pendito; where a magnificent viewpoint awaits you; the famous islands of the Wayag archipelago bathed in turquoise and crystal clear waters. Simply extraordinary. 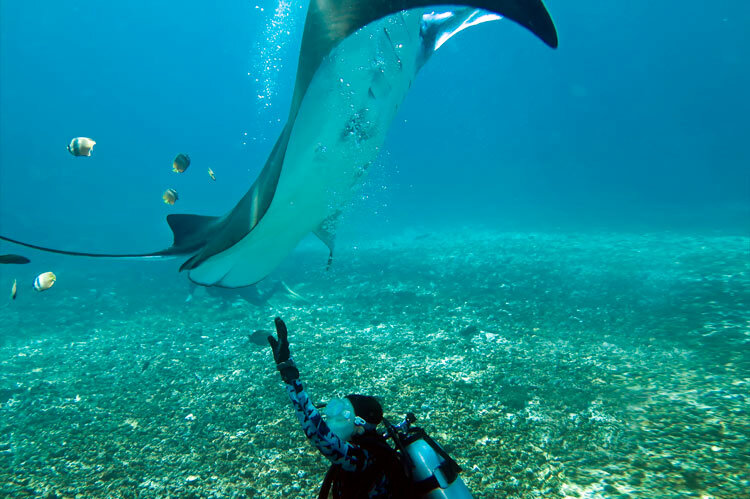 Underwater, discover the cleaning stations of the impressive Mantas rays (Manta Sandy – Raja Ampat or Manta Valley to the Komodo)… and maybe you might spot the very rare Black Manta! Admire the largest shell in the world, the giant clams of Mioskon can exceed 200 kg (site Chicken reef)… or the extraordinary blue mangroves which mark the meeting point between corals and mangrove.